The striped chimney of the former Oscar Mayer plant site is visible from miles away, a lingering reminder of the shuttered factory on Madison’s north side. 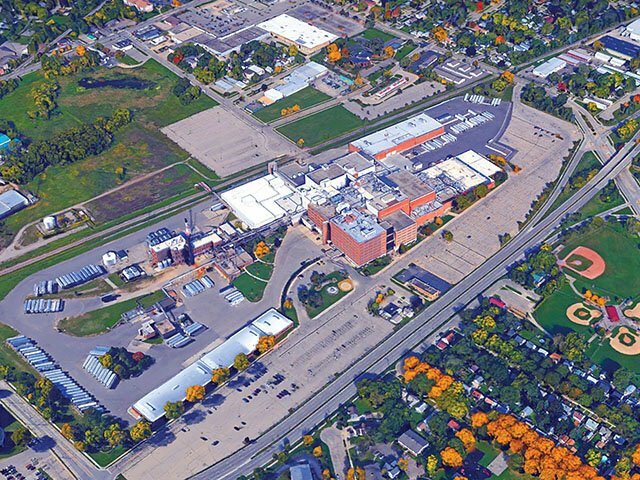 When the last slices of ham slid off the production line in late June 2017, it marked the end of Oscar Mayer’s 98-year legacy as one of Madison’s most prominent economic assets. At its peak in the 1970s, the facility provided some 4,000 jobs to the community. By the time it closed, just 640 employees worked there, 73 percent of whom were Dane County residents. The plant also generated an annual $3 million in gas and electric utility revenues, according to city officials.